This year proved the age-old maxim: buyer beware. Not only did we discover that herbal supplements may not contain what they claim, we also learned that tampons can be hazardous for your health in more ways than one. It was also a shocking year in environmental news as scientists realized that their worst fears may be coming true, China’s toxic lakes reminded us about the true cost of our smartphones and would-be scientists were banned from taking photos in Yellowstone National Park. Check out all 12 stories and let us know which one surprised you the most. 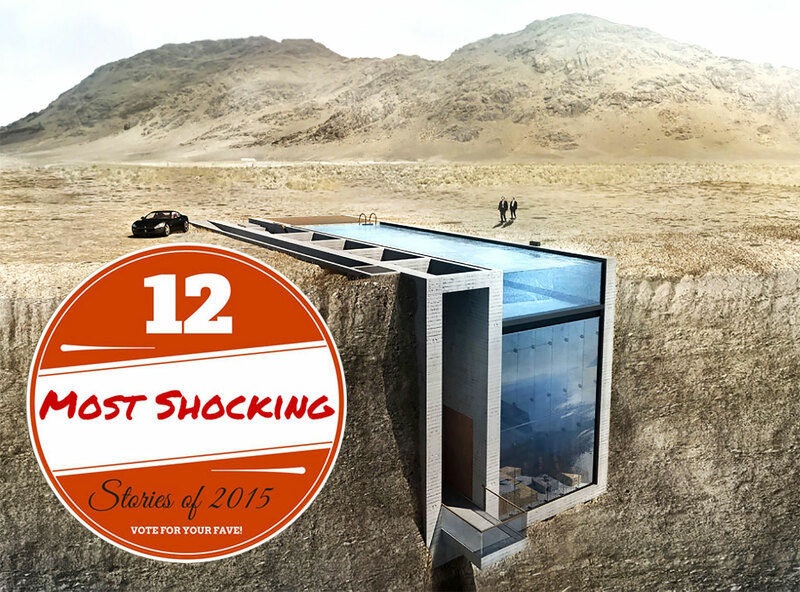 Which was the most shocking Inhabitat story of 2015? Archeologists discovered an ancient city buried underground. Los Angeles came up with an ingenious (and bizarre) way to fight drought. These 12 stories will have your blood boiling, your jaw dropping or your mind blown. Let us know what your favorite story is.